WHEN: 2 days, from May to June, on request. COST: € 1000 with a person, € 1,200 with two persons. 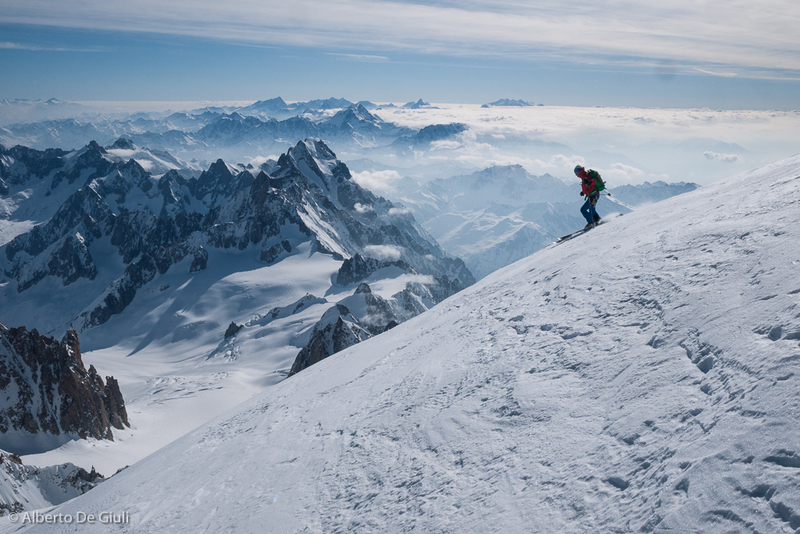 Climbing to the top of Mont Blanc with skis is by far one of the big challenge any skier, ski mountaineer and alpinist has put down on the wishlist. 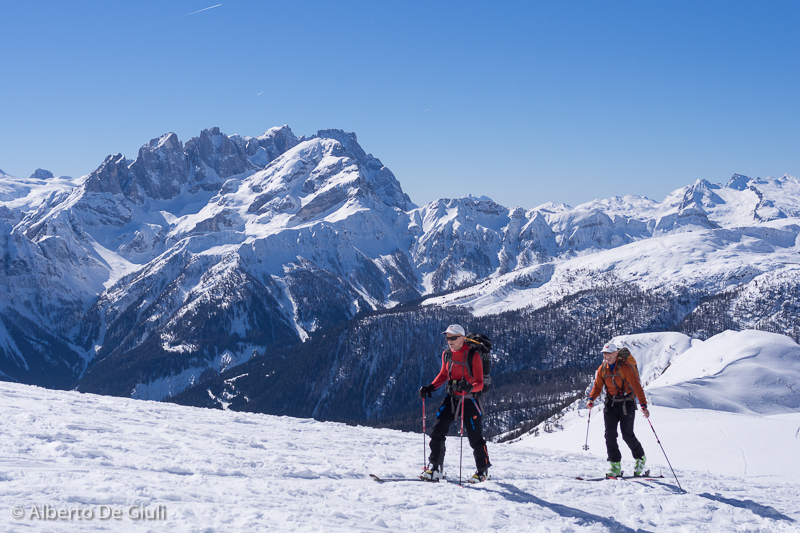 For sure it’s the most ambitious and complete ski touring trip in the Alps not only because Mont Blanc is the tallest. 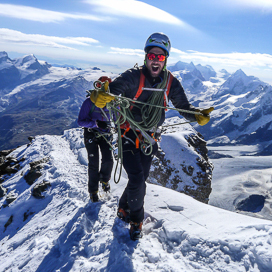 It’s a big day up in the mountain, a long and technical journey with breathtaking views and a challenging descent down the steep north face. It’s important to meet in Chamonix the evening before the start of the trip.Gear check and trip brefing. Day1) Meeting in Chamonix at 8.00 am at the Aiguille du Midi cable car. 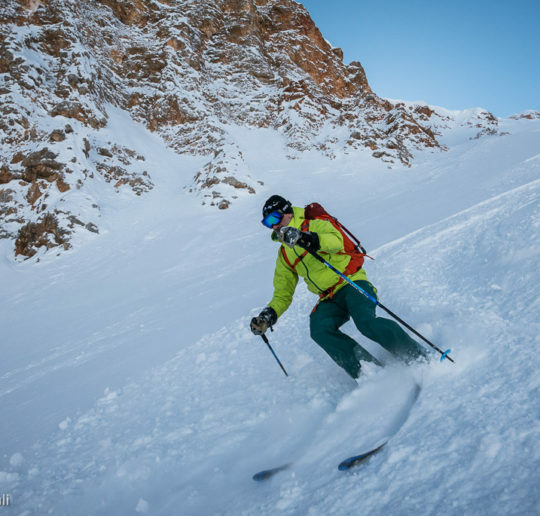 We get off the lift at the mid station to start skinning up to Refuge des Grands Mulets for the night. Crossing the Jonction on the Glacier des Bosson is the key part for the day, as there might be several crevasses to cross. 1000m vertical gain to climb. In case of bad weather/poor physical conditions, it could be smart to keep a third day to try to climb the mountain. 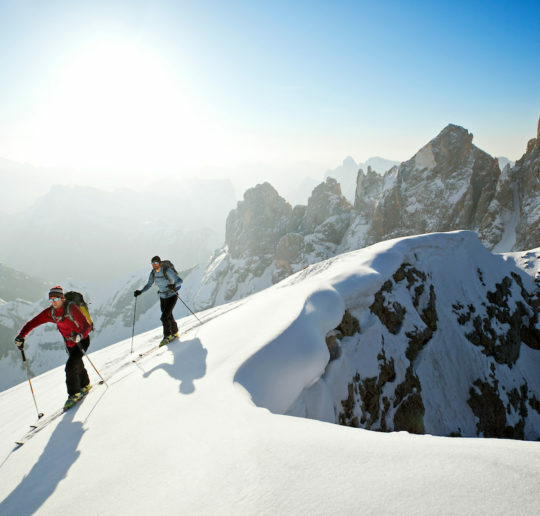 • Climbing Mont Blanc with skis is for expert ski mountaineers with excellent fitness level. • Having climbed one or more peaks of 4000 meters in the previous days / week, it could be a guarantee of good acclimatization and more chances for a successful ascent. • I can arrange a 6 day trip on request, to get a better training and acclimatization few day before the Mont Blanc, so to work on the climbing pace / technique / descent technique and tips. For further information, details and booking, drop me an email.